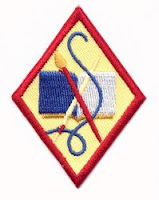 This was a girl-led badge. One of the girls gave us a supplies list and she led the badge. This is how we earned the Book Artist badge. 1. 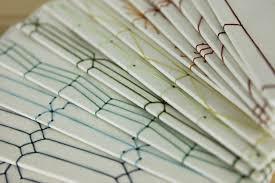 Explore the art of bookbinding. She asked me to bring in a book they could take apart. I just happened to have an old textbook that I didn't care about. Taking apart this book was a little more difficult than we thought. We found the cover was glued with a glue that would have held an elephant in place. It took 2 of us to finally get the book to come apart. It was glued, stapled, and bound with string. The process gave us the ability to discuss the various techniques and why they were used (textbooks are used many years, passed around, not always the best care). We also found that each chapter was a book fold section and on the fold was printed the textbook name, chapter, and numerical order. My only piece of advice when working with old books... well, maybe a few pieces... make sure it's something that you don't want, of little value, and be careful... rusty staples will send you to the ER for a tetanus shot! We were careful and no one was harmed. 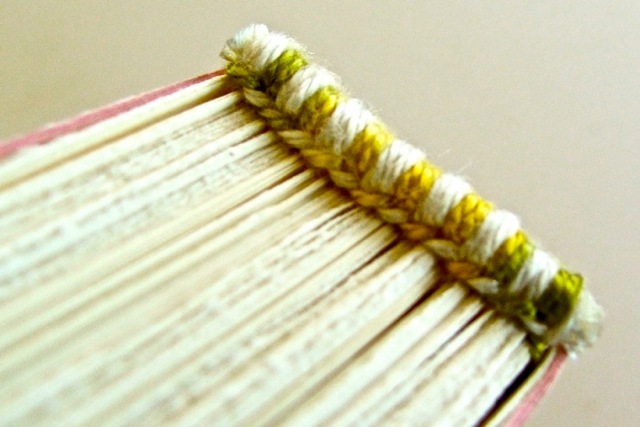 We chose to do a sewn book. We looked up tutorials and made little journals using the Japanese book binding technique. It was pretty cool and didn't' take much time. Now, I was nice to the girls and have pre-punched their holes. So, there's that little secret for you. I have a Crop-A-Dile, so I cut the pieces of paper and a cardstock cover, used a binder clip to hold it together and punched them all together. Next up, another book to make. 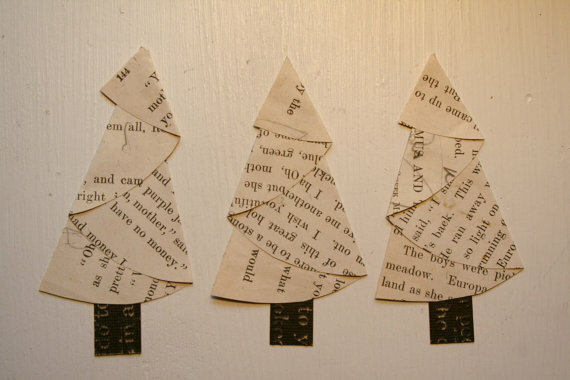 I had leftover chipboard and library rings. So, I brought in scrapbook paper (as requested), cardstock, and chipboard covers. The girls put everything together, decorated their pages and covers, and used library rings to hold it all together. They were cute. This project did take a little time, but our meetings are almost 3 hours so it was fine. This was a tweak and loose interpretation of this step... we made ornaments. Pretty simple. Did your girls do one comic as a troop or did each girl do one? So I'm the last Cadette in my troop who still needs to hosts a badge, and this is perfect! My question is how many meetings will this take? Could it be done in no more then two? So awesome you want to host a badge meeting! We completed this badge in 1 meeting... BUT... our meetings were 2 1/2 hours long. So, you'll have to adjust based on your meeting length.